Re: Eld's builds:V'han, El Salto! I actually did those guys a while back, along with their boss the Warlord. Link should be on the first page. Wanted By both PHANTOM and UNISON. Rivalry Other professional mercs and super assassins, especially Stilleto, whom Viktor loathes. Hatred For PHANTOM, who experimented on Viktor in the first place. Unstable Viktor is paranoid, constantly thinking he's being watched, or that people are out to get him. The worst part is, he's right, which only makes getting him to not be paranoid even harder. Migraines Viktor suffers from frequent migraines that he tries to drown with alcohol and pills, but they can still sometimes act up and leave him Impaired in the middle of a job. •Viktor Zatopek is a soldier from the Czech republic who joined PHANTOM for the chance to travel the world. He served well for a few years before he was selected as part of a super solider program, trying to recreate the formula used on Captain America. While the process was mostly successful, making Viktor an enhanced example of humanity, it also drove him mad-instilling him with constant paranoia, anxiety, and painful migraines. Falling into crime, he acquired his namesake weapon from the Foundry, and has been a ruthlessly effective mercenary and assassin in Europe for years now. Recently, he worked with Overthrow on their attack against the Vatican, and remains at large. •Scimitar is a dangerous foe-he combines a super-science melee weapon with near-superhuman strength, so he can dish out plenty of damage. I tied a few Advantages to his scimitar so he can Power Attack to rank 16 damage with it, but without it only hits DC 23 unarmed, as he's not really supposed to be a brick type. While obviously more dangerous up close, he's smart enough to carry a ranged weapon in case of fliers or other foes who melee would be problematic against. Viktor wasn't always a bad guy, but years of his condition and his new job have made him a fairly irredeemable killer, the kind of guy the heroes shouldn't be conflicted about beating up. Wanted By the Chinese Government, and to a lesser extent the United States. Enemy/Relationship The Tiger Squad-once a member, now Spirit Dragon is hunted by them, even though he stills sees some of them as friends. Honor Chiang does not kill. Identity Since joining the Tiger Squad, Spirit Dragon's true identity as Chiang Hou is a matter of public record. Motivation: Spirit Dragon's goal is to bring regime change to China and install a new, more democratic government. Power Loss Spirit Dragon's abilities are based on training, focus, and mastery of chi. If something were to to disrupt that, he would lost his Powers. Using his powers can also sap his reserves of chi, sand he can not rely on them constantly. •Chiang Hou was abandoned by his parents when he was a baby, left on a monastery doorstep. 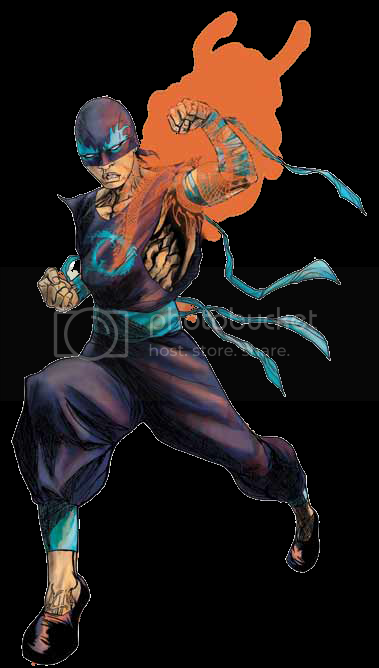 He was taken in by members of the White Lotus society, who raised him and taught him Eight Dragon Spirit Fist Kung Fu. When he eventually reached adulthood and underwent a ceremony to acknowledge his mastery, a bronze bell broke-which was the culmination of a prophecy. Taken to a secret temple by the elder monks, he was given a scroll of mystic knowledge and imbued with the power of the Spirit Fist, enhancing his already impressive martial talents. Chiang set out to become a hero, and as all Chinese supers do, he joined the Tiger Squad. However, he realized his efforts were only propping up the status quo, and he left the Tiger Squad after giving a speech at a pro-democracy rally (right after, because he knew the government would be out to kill him). He entered America in secret and is slowly working to bring democracy to China, sometimes even fighting crime on a lower level. •Spirit Dragon is a very dangerous opponent, with a very high attack score and the ability to hit DC 29 with his Spirit Fist. He also has a kind of boost power, but since so many physical abilities are tied to PL-shifting traits, I just made it Power Lifting and some enhanced skills, to show he can be truly superhuman when he has to be, with a +22 Acrobatics bonus, or the ability to lift a car. He also came out at point per level, and could make a fun flashy martial arts type. His powers are nothing fancy or innovative, but they sure can get the job done. He's undeniably a hero, but politics might force certain PCs into conflict with him. Vulnerable As undead, many zombies are vulnerable to the holy descriptor, be it holy ground, religious symbols, or holy attacks. Disability Zombies move slowly, and are thus constantly Hindered. Hunger Zombies search endlessly for human flesh, unless directed otherwise by some outside force. •I was looking at Scion stuff again, and I thought I'd work up a basic zombie build. There are a few others on the Tank, and mine isn't much different, except for two things. The first, my zombies are a little stronger and tougher than most. Second is their half immunity to bullets-while a sword or even a table leg can beat them down without too much trouble (especially if using the Minion rules for a zombie horde), bullets are notably less effective-unless its a head shot. Despite their toughness, zombies are defensively very weak, and will be easy prey for even low-level heroes. Arthur Eld wrote: Second is their half immunity to bullets-while a sword or even a table leg can beat them down without too much trouble (especially if using the Minion rules for a zombie horde), bullets are notably less effective-unless its a head shot. Excellent point. And something to keep in mind when I do my own zombies at eventually. I've seen that mechanic for zombies in two different game systems now-the second is Scion, but the first was the old Call of Cthulhu game, and it just seems to fit with how they're portrayed a lot of the time. Five, six body shots? Zombie keeps shuffling towards you. One good head shot, right between the eyes? Sucker goes down. Up next, another Scion-flavored build, their take on Kirin. Not quite as tough as D&D's, but still a cool beastie. The best thing about fighting Scion zombies? Most Birthright weapons count as holy enough! Arthur Eld wrote: I've seen that mechanic for zombies in two different game systems now-the second is Scion, but the first was the old Call of Cthulhu game, and it just seems to fit with how they're portrayed a lot of the time. Dammit, that's a great zombie mechanic. They kind of even proved that in the Mythbusters zombie special. Not specifically that they are bullet resistant, but that people using melee weapons are more effective at taking down numbers of zombies because of the reload issue and the ability to get a head shot in with something like an axe, sword, etc. Power Loss The Kirin's healing ability is fueled by its innate magic, and overuse can cause it to become impaired, disabled, or absent altogether until the creature has time to rest. Disability For all its wisdom, a Kirin has no hands. Responsibility The Kirin consider themselves helpers to both the gods and humans, seeking to guise wise men to greatness. 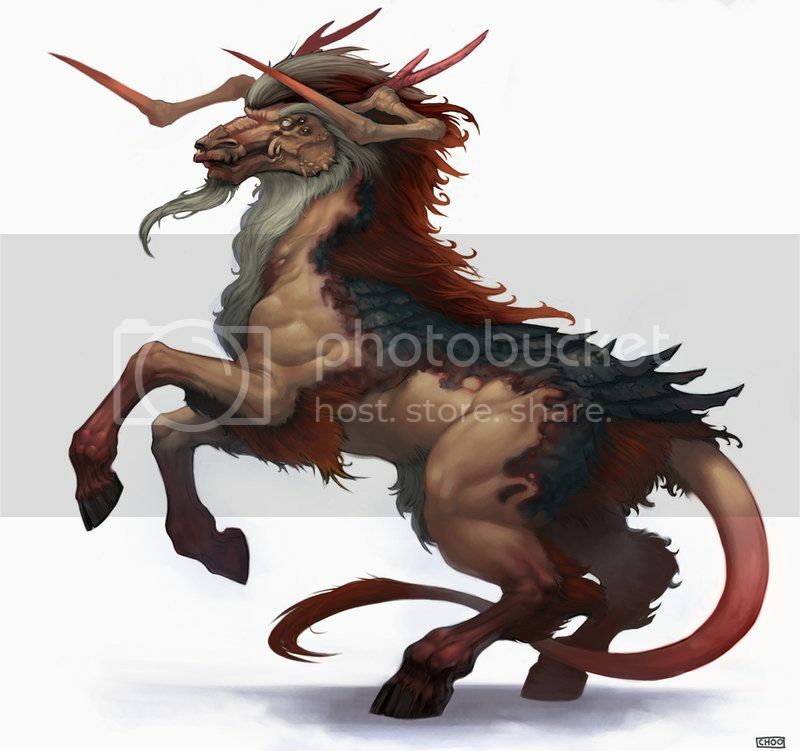 •Kirin are supernatural animals who often aid the Gods, their Scions, and exceptonal mortals. Both wise and powerful, Kirin are somewhat bulletproof, and with a magical horn able to pierce through steel and fix grave injuries. Some Kirin are even more powerful, with the ability to fly (or at least not disturb the ground as they walk, a minor Feature), as well as breathe fire. While Kirin are not terribly powerful on their own, being somewhat undercapped defensively, they are still clearly supernaturally dangerous, more than a match for most mundane forces, and could make valuable guides for supernatural PCs, especially ones with more might than brains. It occurs to me that of all my Scion builds so far, I haven't actually built any Scions. So up next, Amleth, son of the Norse god of vengeance Vidar, demigod, inspiration for the legend of Hamlet, occassional actor, and total nutter. Weakness Despite his demigod status, Amleth still needs to channel some of his power through his sword. Without it, his Justice powers function as though Impaired. Madness Amleth is insane-often withdrawn, moody, and prone to giving speeches to himself about the futility of it all. Motivation Amleth is driven to kill the gods of Asgard, driven on by visions of his father's ghost. Secret Amleth often has to hide his immortal nature, and often pretends to be a stage actor. •Amleth is the source of the legend of Hamlet-once he was a much loved prince of Denmark, until the King died and his uncle took the throne and married his mother, making him very upset and suspicious. Then Amleth had a vision, in which the god Vidar appeared and said he was Amleth's true father, and that as a Scion of the god of Vengeance, he must avenge the King's death. This just helped push Amleth further over the edge-and his terrible rampage of revenge was the final straw. He killed his not-uncle, but his mother and others died in the process. Rather than join his father in the Imageria, he simply left his kingdom and has wandered for centuries, driven to seek justice and vengeance where he can find them, often plagued by doubts of his own sanity and drives to violence and sorrow. •Amleth is a fairly powerful demigod, with abilities relating to Justice, along with feats of superhuman strength, agility. He also has a power I've left off his sheet-one most Norse Scions have to turn normal humans into berserks by feeding them his semi-diving blood: they become very loyal to him, and gain enhanced Strength and Stamina. If he needs to, just give him some PL 4 or so thugs, slap some Enhanced abilities on them, give them a few ranks in Deception and acting skills (since they'll pretend to be his troupe) and call it a day. 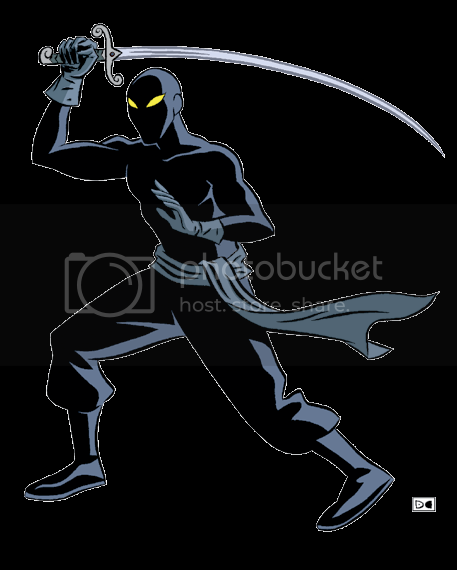 In straight combat, is sword is his best bet, and odds are he'll acquire some poison with Inventor (possibly by boosting his check with Beginner's Luck) and coat his blade with it for extra painful vengeance. A neat character that is more tragic than malicious. As far as the picture-maybe Olivier was a pseudonym of the immortal Amleth, or maybe he just thinks he was. Except, of course, it's not really his father's ghost. Just a ghost obeying the Titans to ***deleted*** with Amleth. Well in the Crinoverse, it could be any number of things-an agent of another pantheon, forces of the Titans, random spirits, what have you. Heck, it could even be multiple beings have masqueraded as Amleth's adopted father because he's a powerful, if crazy, cat's paw. And of course his real father washed his hands of it since he killed most of Denmark's royal family, left the throne empty by not taking it, and turning it over to a foreign prince. Not the kind of Scion you invite up to Asgard. I was just a sucker for the character since I'm a big Shakespeare fan and 'Hamlet as a crazy Demigod' is as cool an idea as 'Thor's son wields a BFR with a firing pin made from a piece of Mjolnir." I think I'll keep the Norse stuff going-probably do the aforementioned son of Thor, along with Norse creatures like trolls, Grendel, Fafnir, Nidhogg, and even Old Age herself. Technically Grendel isn't a Norse critter. The legend of Beowulf from which the Grendel springs isn't a Norse myth, but a Germanic one, where Beowulf is the last King of the Geats (Geatland is within the modern borders of Sweden), who comes to the aid of King Hrothgar of Denmark whose lands are being ravaged by the Grendel. Heorot "the Golden Hall" is a particularly attractive target of the Grendels depredations. 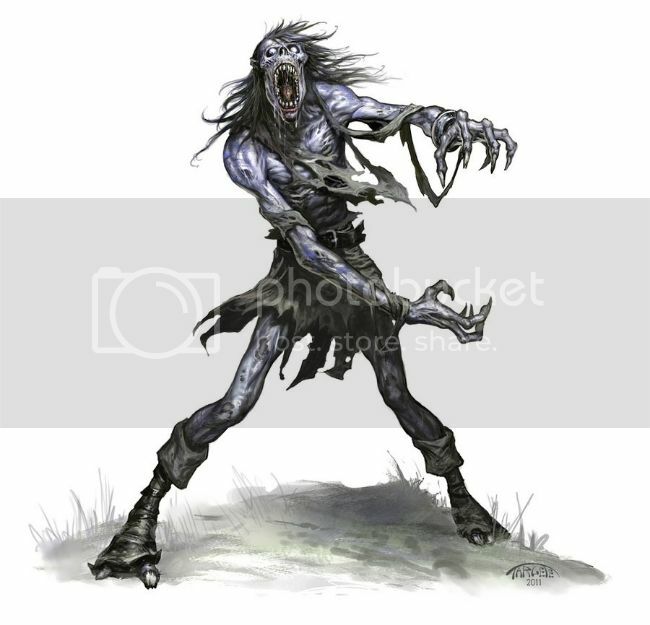 The Grendel proves no match for Beowulf (who rips its arm off) and flees into a lake, where it is protected by its Dam, the true badass monster of the story. Fortunately, the very sword needed to slay the Grendel's Dam rests over the hearth in her lair. A monumental bit of convenience that. **Note; This is a super-duper condensed version of the Beowulf vs. Grendel tale. Very true. But in the Scion universe, Beowulf is a scion himself, one who ascended to godhood after his battle with the dragon and faking his own death. Scion mixes things up quite a bit like that. For example Fafnir isn't a giant or even really a dragon, but a dark elf (svartalfar) who can turn into a dragon, Maleficent-style.